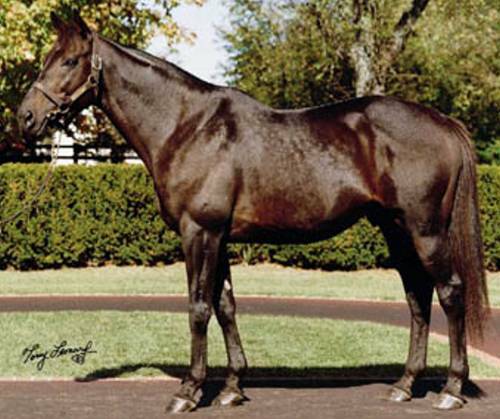 Major US sire with a small number of British raced 2yos each season and a well above average record. Gets winners at 7f and further from Augist onwards and runners tend to need time to develop. In line with this his winners have been at good maiden race level, at best, in late season in the period 2002-5. An indication of his reputation in the US and the type of 2yos he gets running in Britain can be gained from considering the US sales prices of the 2005 group. Five of the seven were bought at US sales for $425,000 (two), $375,000, $170,000 and $100,000, with this group producing one winner (over 10f in November).